Chef Jose Boutwood, Village Tavern's Chef brings about new and exciting creations in Village Tavern's World of Burgers, presenting a line-up inspired by festivities, celebrations and notable destinations around the world, that will surely capture your heart and your taste buds as well. Presenting the Mexican, the Monte Carlo, the Waldorf and October Feast, four mouth-watering burgers that will surely captivate your senses. 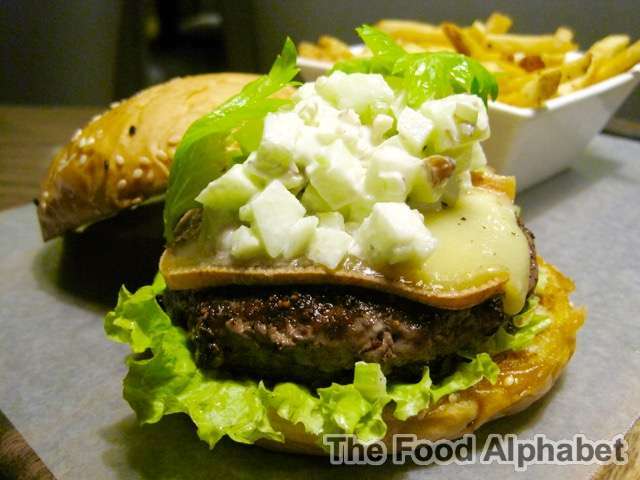 Using only USDA Wagyu beef patties, specially made by Chef Boutwood, to give you the best premium burger experience. 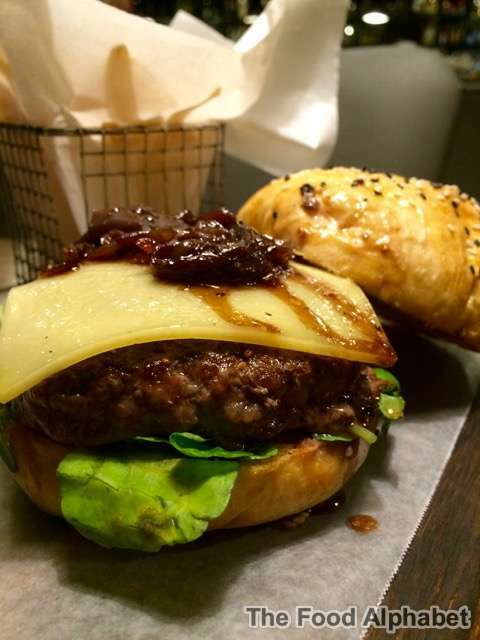 A premium imported Wagyu all-beef patty topped with a selection of St. Nectaire cheese, black olive tapenade, and a pile of Prosciutto, a majestic mix of great flavors made better at the hands of Chef Boutwood. Now that's a feast indeed, Wagyu patty with Swiss Cheese, braised red onions and served with Village Tavern's new beer mustard, you have never tasted a burger like this before, Chef Boutwood took it to the top with this one, and yes this is my favorite among the four. 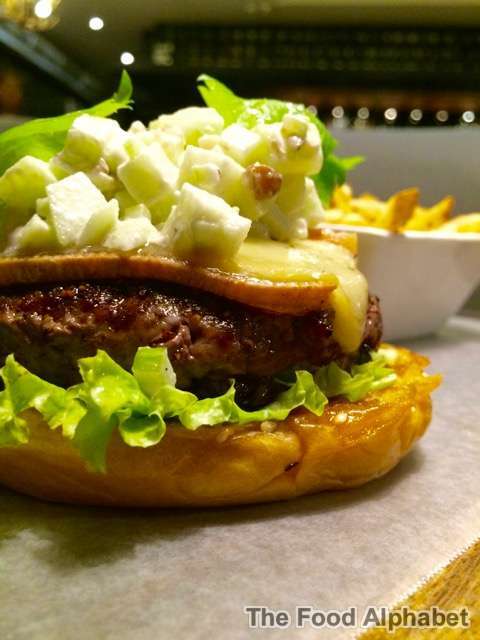 patty, topped with the classic mix of celery, fresh apples, walnuts, and St. Nectaire cheese! A refreshing piece, masterfully done, I was quite skeptical at first, but when I took the first bite, all doubts disappeared. 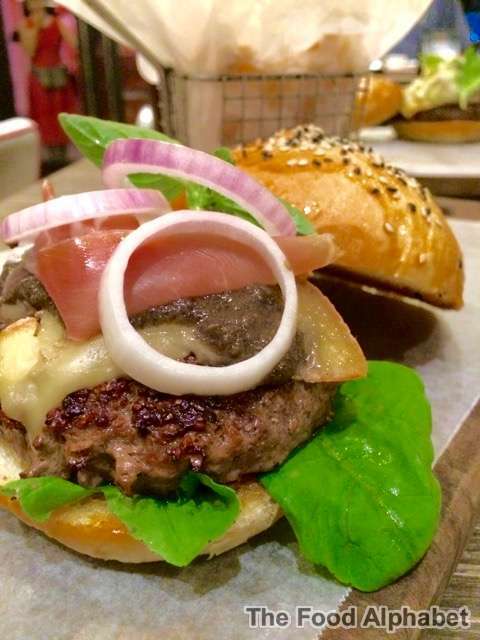 Enjoy the best premium burgers at Village Tavern's World of Burgers by Chef Josh Boutwood, this is available for a limited time engagement only. 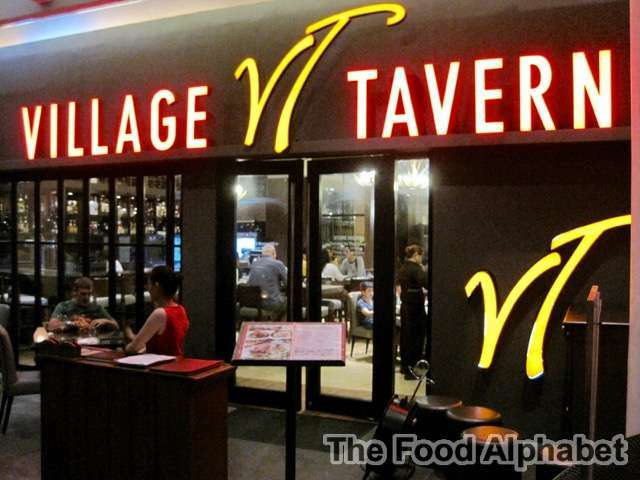 Head on to Village Tavern today at Bonifacio High Street in Bonifacio Global City, Taguig. FREE Cheeseburgers for a year as 8Cuts Turns 2!